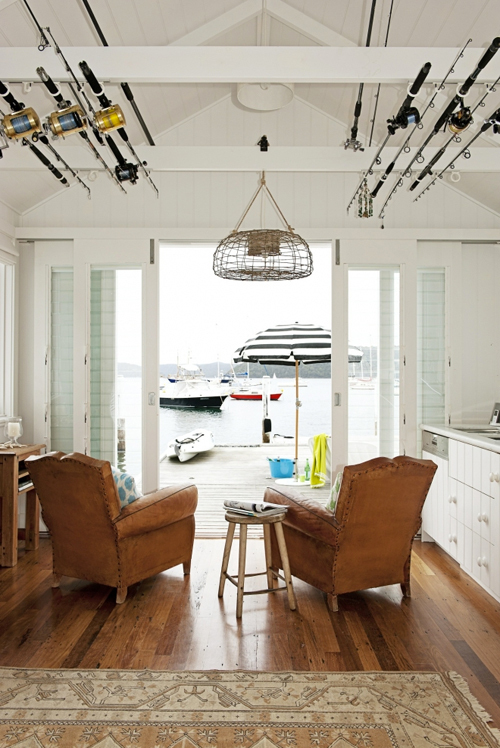 A small beach house is perfect for spending summer days. 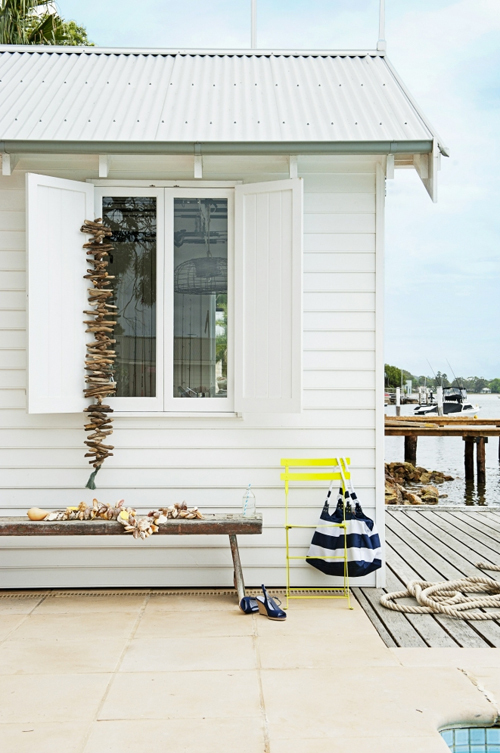 This Australian beach cottage has been decorated in a nautical style. 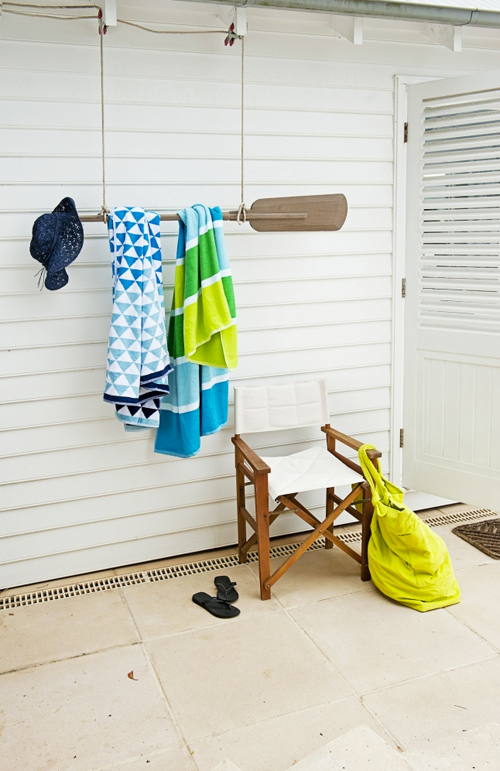 Striped umbrellas, a paddle for hanging towels, hurricane lanterns .. these are just a few things that you can use to achieve a similar look. I love the chartreuse colored accessories – very summery! Image credits: T. Amos, via Real Living. 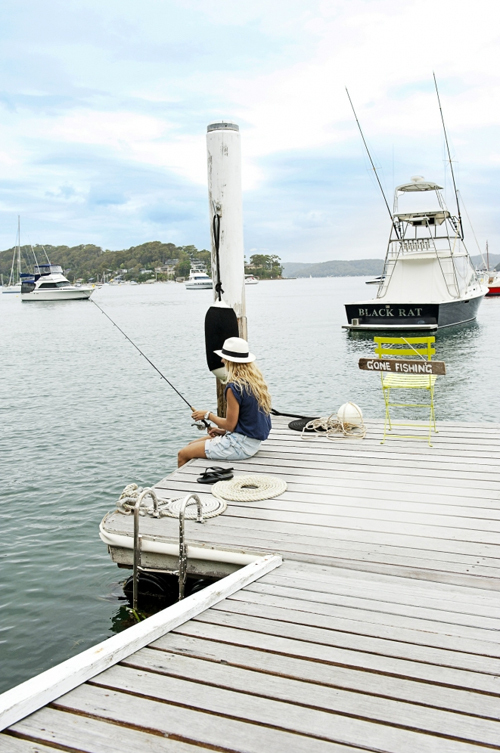 So fresh, love the pops of lime green and that view: wow!